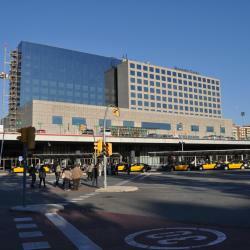 Looking for hotels near Sant Antoni Metro Station? Centrally in Barcelona’s Sant Antoni district, Two Sisters Apartments offers free Wi-Fi, a balcony and air conditioning. Rocafort Metro Station is 320 yards away. 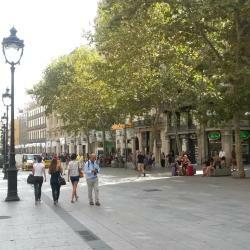 Catalonia Gran Via BCN is set on Gran Vía and within 5 minutes’ walk of Urgell and Universitat Metro Stations, and beside the airport bus stop. Hostal Live Barcelona is located on central Barcelona's Gran Vía Avenue, 10 minutes’ walk from Las Ramblas, Plaza Catalunya Square and Plaza España Square. 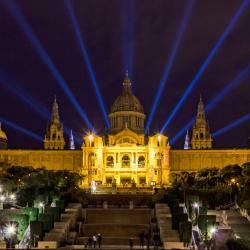 Located in the heart of Barcelona, Hotel Midmost is a few steps from the famous Ramblas and the Gothic Quarter. This stylish hotel features a seasonal roof terrace with a pool and views over the city.... 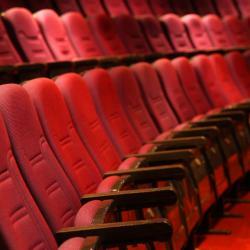 The decor, the location and proximity to attractions and main tourist area. The chic H10 Casanova Hotel is centrally located on Barcelona’s Gran Via, a 10-minute walk from Plaza Catalunya and the Rambla. There is a garden spa with whirlpool and steam room. Rooms were impeccable, cleanliness, comfortable and air worked well. 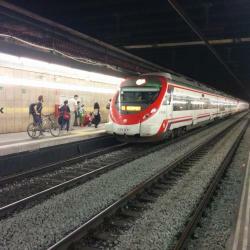 Hotels with great access to Sant Antoni Metro Station! Located 328 feet from Universitat Metro Station, this boutique hotel offers stylish rooms with free tea and coffee making facilities. 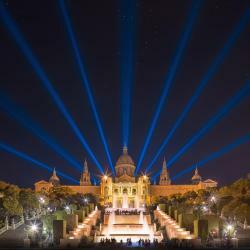 Plaza Catalunya is just 1312 feet away. Great location - perfect spot. And we arrived early after all night travel to find our room ready. Ako Suites Hotel offers stylish apartments with free Wi-Fi and modern kitchenettes. 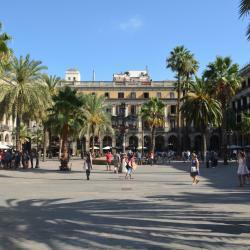 It is located a 10 minute walk from Plaza Catalunya Square. The location and comfort of the suite was great. Nearby to transportation and nice restaurants.